» Spectra Windows UPVC window and door systems based shops situated in Tirupur. We fabricate windows and doors with high qualified and trained man power. Spectra Windows are the manufacturers and traders of premium quality of all kinds of Steels and in shipping industry. 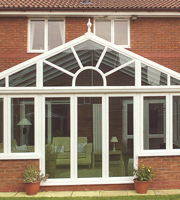 The following products are Given by Spectra Windows. 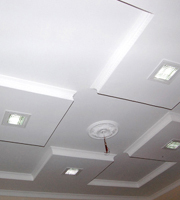 That is UPVC Windows, UPVC Doors, Aluminium Partitions, Gypsum Board Ceiling, Photos and Framing, T-Grid Suspension and Fancy Mirrors. » Beautiful things are readily noticed. They bring fresh aesthetic beauty to new and old buildings alike. The Windows in your house ignite the sparkle in your eyes. 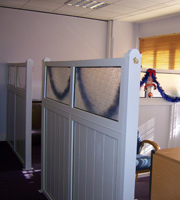 uPVC window and Door systems offer the most varied styles and designs. The technical limitations of the past have been overcome and today our UPVC windows and doors can be fitted into any type of property from residential houses and apartments to commercial buildings such as hotels, hospitals and modern office blocks. » The company has a comprehensive and detail-oriented quality system that ranges from product development to sales. Critical product inspection is carried out by independent testing laboratories. » In addition to the various applications and designs that are possible, a long product life cycle as well as minimal care and maintenance of our products are prerequisites for operational efficiency. » Every one of us at Spectra Windows have decided to commit ourselves to the manufacture and supply of doors and windows, as per the stated needs of our customer by providing the products at the right time, with an acceptable quality at an agreed price, We would like to continually improve and achieve our ultimate objective of total customer satisfaction.